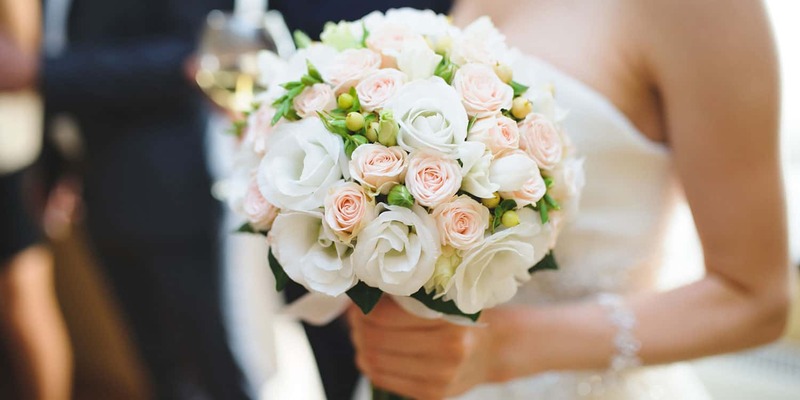 Ensure your wedding is blooming lovely with some serious flower power. From bridal bouquets, buttonholes, styling elements and even cake complements, flowers have the potential to transform your wedding from flat to fantastic! There are, of course, some amazing floral trends to watch out for like the hanging floral installation and floral backdrop – as well as lots of things to guide your bridal bouquet decisions. And, gorgeous flowers needn’t cost you a fortune. Take a tip from industry-insider and queen of flowers, Karen Tran: ‘don’t forget statement pieces to add that extra wow factor. If you have a limited budget, consider just concentrating on focal pieces like one grand arrangement for the bridal table and smaller centrepieces on guest tables. And select flowers that are in season. This will not only cut down cost, but the blooms will be much healthier’. And so … after you’ve armed yourself with all the floral facts and found loads of image inspiration, it’s time to work with a talented florist to create your signature style.